All of these are big negatives for this couple in terms of a new home construction loan. Many banks will just not take the risk in this type of situation. In addition another big glaring issue is the intent to finance all of their furniture as well! Most lenders will lend money to finance the home, but not to furnish it. The main issue of course for the lender is the associated risk when it comes to lending money. In this case the perceived risk is quite high. 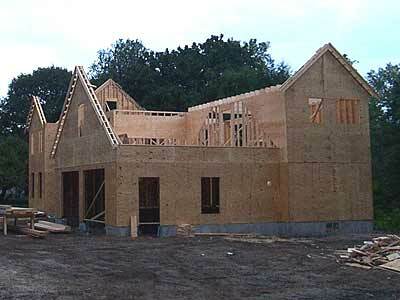 Without the experience of managing a homes construction, the bank will be concerned about construction over runs. They will be concerned about ending up financing a half finished home that needs more funds to make it livable. The bank may be able to be convinced to lend the money if this couple hires a foreman or builder. One with a good reputation and has an opportunity to review all of the contracts. They want to ensure that the project is well managed and the risk factors are reduced. We would like to be able to make addition suggestions to this reader regarding finding a new home construction loan. However with the issues identified they are just too many and too significant. We are unable to recommend a bank to them that would be willing to lend them the funds they need. Each of these issues can be solved and it will be up to them resolve these concerns to the satisfaction of the lender. There are courses that can be taken to help them understand all of the issues and tasks associated with building a home. Once they have taken this course they may be in a better position to understand the problems and deal with them. This in turn will reduce some of the risk factors identified by the banks and help them secure the new home construction loan they would like. Your comments are welcome as well in terms of advice that you can provide to this couple. For more information about construction loans, click here.